Somewhere in Time Bed & Breakfast is a wonderful Victorian style home. 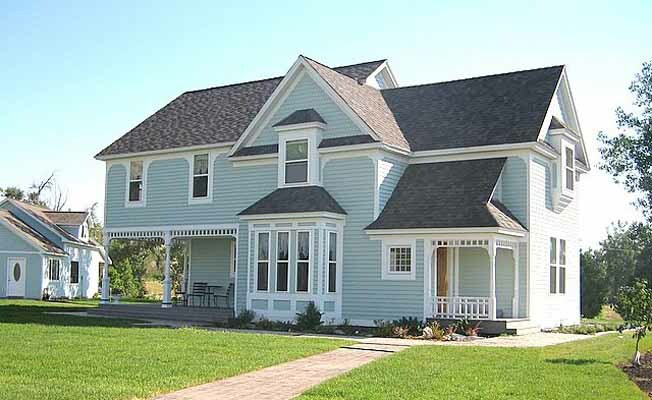 It was originally built in Billings in 1900 and has been completely restored. It sets in a quiet, beautiful country setting and is only fifteen minutes from downtown Billings. You can enjoy the quiet of the country and all the conveniences of the city. Each room is warmly decorated. After a delicious home cooked breakfast you can take a quiet walk in the country, hunt for fossilized pre-historic shark's teeth, look at a large Indian petroglyphs and then fish on the creek or maybe a day of golf at the Pryor Creek Golf Course which is only a few minutes down the road. Avid golfers can choose a golf package when they stay at Somewhere in Time. You can also browse in the gift shop or shop at many of the antique stores in the area. Some of the attractions that are less than an hour away are Custer Battlefield, Pompeys Pillar, or skiing. We are only minutes from MetraPark which hosts many events such as the Montana Fair, horse racing, concerts, sports and much more. A wonderful setting for a family reunion, retreat or wedding. We have an Event Center for all of your special occasions, business meetings, retreats, family reunions and non-profit events. The perfect venue for destination weddings. Somewhere in Time Bed & Breakfast is located at 266 Hogan Road near the Pryor Creek Golf Course, only ten minutes east of Billings on I-90. Take Pryor Creek Exit 462, turn left, go 1 mile, then left on Hogan Road. Pryor Creek runs between I-90 and I-94.Somewhere in Time Bed & Breakfast is located at 266 Hogan Road near the Pryor Creek Golf Course, only ten minutes east of Billings on I-90. Take Pryor Creek Exit 462, turn left, go 1 mile, then left on Hogan Road. Pryor Creek runs between I-90 and I-94.